More than 50 people were killed on Oct. 1, 2017 when a gunman opened fire at a concert in Las Vegas, Nevada. More than 600 people were injured last year when Stephen Paddock opened fire on a crowd of more than 22,000 concertgoers in Las Vegas. The Oct. 1, 2017 shooting claimed the lives of 58 people. A new study by Northwestern Medicine looks at a very specific aspect of that shooting: the amount of blood needed to treat victims, and the amount donated by the public. Their findings show that Las Vegas hospitals had adequate blood supplies to meet patient demand, and that 17 percent of blood donated after the shooting went to waste. “Even with the high volume of blood transfusions, in-hospital supplies and rapid supplementation from local blood suppliers met patient need in Las Vegas,” said Dr. Glenn Ramsey, medical director of the blood bank at Northwestern Memorial Hospital and professor of pathology at Northwestern’s Feinberg School of Medicine. Researchers compared these amounts to other mass shootings, including the 1999 Columbine High School shooting and 2016 shooting at Orlando’s Pulse nightclub. They found that a similar amount of blood was needed following the Las Vegas shooting as other mass casualty events. They also learned that local residents donated nearly 800 units of blood immediately following the Las Vegas shooting. Local officials made a public plea for blood donations the morning after the incident, leading to a spike in news coverage and blood donations across the country, according to researchers. While people’s altruistic desire may compel them to donate blood following a mass casualty event, he says people should wait to donate until a blood center makes a request for donations. Ramsey and his fellow researchers suggest one way to manage blood supply and demand following a mass casualty event is to develop a pre-planned response in which blood donations would be scheduled on a rolling basis based on time-designated regional cohorts, such as zip codes by week. Researchers also suggest the public be trained in hemorrhage control and tourniquet use. 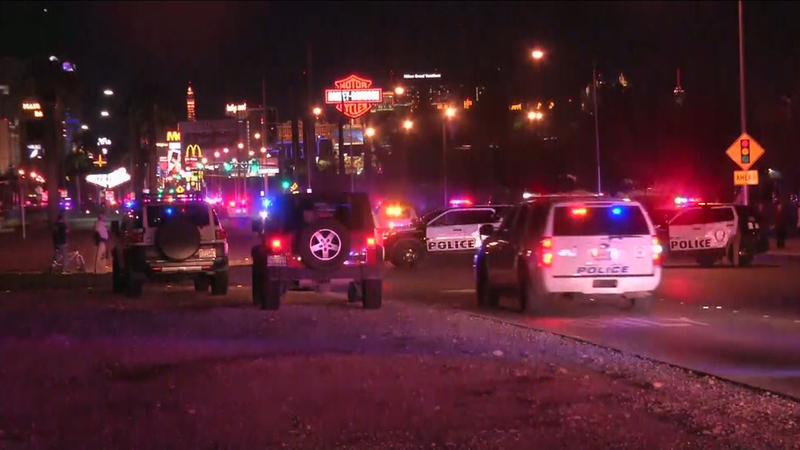 Medical supplies including tourniquets and pressure bandages were severely inadequate with first responders and on the scene of the Las Vegas shooting, according to researchers. “Public awareness in hemorrhage control and tourniquet training can save lives and potentially decrease blood need in mass shooting incidents,” said Ramsey. He says campaigns like the American College of Surgeons’ Stop the Bleed can help better prepare and educate individuals about how to respond if they witness a mass casualty incident.